CEO of RIOCOCO, Won Stevie Gold Award. Riococo coir substrates won two gold awards. 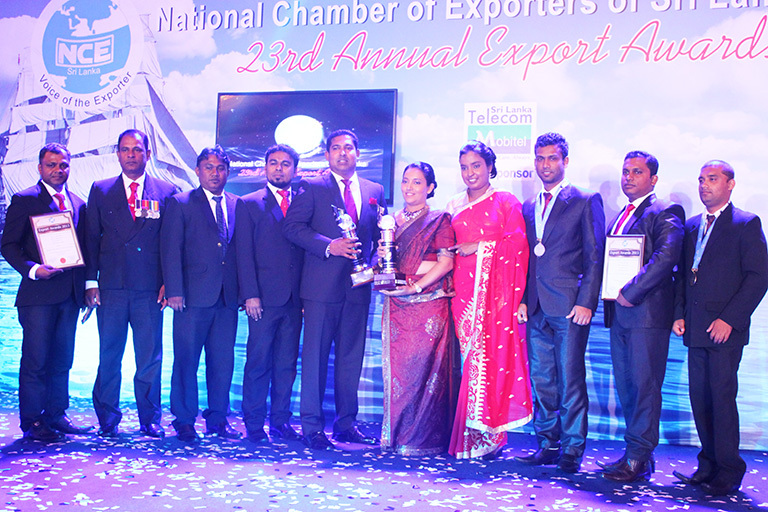 The National Chamber of Exporters (NCE) honored Riococo Lanka (pvt) Ltd; A Company specializing in the export of hydroponic coir substrateproducts, forthe excellence in exporting goods with an award under the Agriculture Value Added sector category. IRVING, TEXAS February 9, 2013 Leaders and innovators from a broad range of business sectors, and from Fortune 500 companies from successfully small to medium businesses, were honored Feb. 7 in Dallas at the annual Minority Business Leader Awards, presented by the Dallas Business Journal. Sri Lankan-born entrepreneur Mr. Shan Halamba, co-founder and CEO of Ceyhinz Link International, Dallas, Texas based company, was among the honorees recognized by the Dallas Business Journal at a luncheon attended by 500-plus at the Sheraton Hotel in Downtown Dallas. This year's recipients were a mixture of corporate executives, business owners and community leaders. But they all share a thread of learning from their lessons along their path to success, and finding a way to give back. 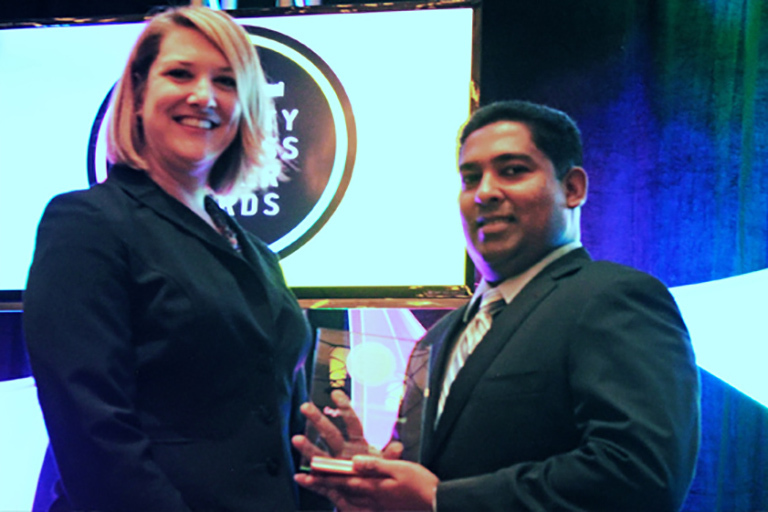 Mr. Shan is the first native Sri Lankan and the youngest Texas based business entrepreneur to receive a Minority Business Leader Award in Texas. Mr.Shan received the award for his success in building and leading Ceyhinz Link International, parent company to Riococo Worldwide and Ceytips Ceylon Tea. Awards were presented to 28 business leaders, determined by a panel of business leaders who reviewed a large list of nominees. Dallas Business Journal publisher Tracy Merzi and editor Katherine Cromer Brock presented the awards to honorees on stage at the event. Video commentary from each honoree was also shown during the presentation. 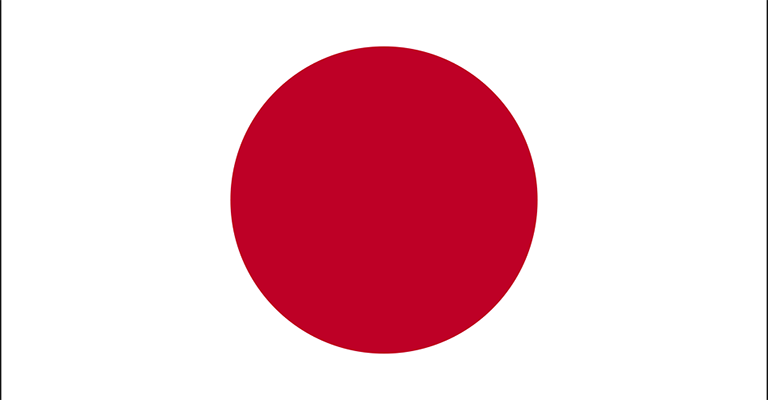 Mr. Shan was an old student of Nalanda College, Colombo and graduated from Massey University in New Zealand. Sri Lankan-born entrepreneur Mr. Shan Halamba has been recognized as one of the most successful entrepreneurs at the Governor’s North Texas Business Forum held recently. The forum, held on August 02 at the Irving Convention Center recognized some of the state’s most successful entrepreneurs. 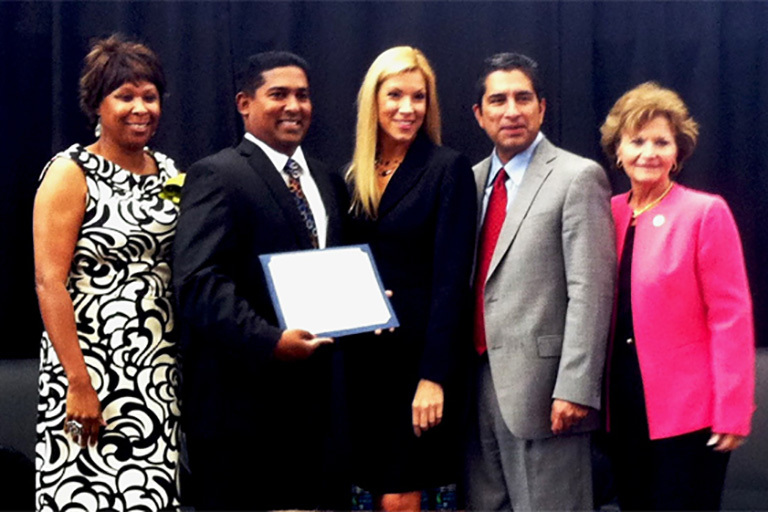 Founder and CEO of Ceyhinz Link International, Inc, Mr. Shan received the “Business Champion of the Year” award from Texas workforce Commissioner Mr. Andres Alcantar during a special presentation.He is the first native Sri Lankan and the youngest Texas based business entrepreneur to receive a Texas Business Champion of the Year award. The Office of the Governor also launched the Business Forum program in 2010 across the state to provide small business ownersin Texas, access to valuable information on workforce development, training grants, expanding markets and other business growth opportunities. Through regional collaboration with hundreds of community, business and educational organizations throughout Texas, the Governor's Business Forums are one more reason Texas is wide open for Business. Mr. Shan is the President and Co-Founder of Ceyhinz Link International, Inc. headquartered in Irving, Texas, the parent company for RIOCOCO and CEYTIPS. In 2011, Mr. Shan received the ‘International Businessman of The Year Award’ from the Greater Dallas Asian American Chamber of Commerce, presented to him by Dallas Mayor, Hon. Mike Rawlings. 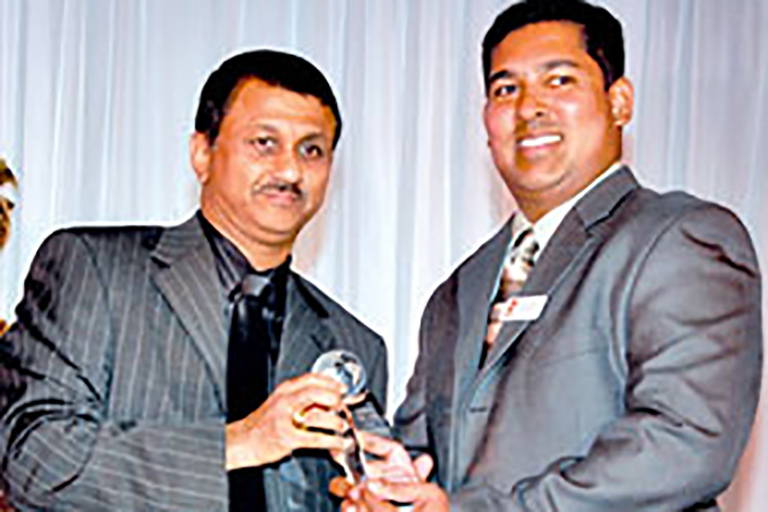 This 2011 honor is also the first time a young Sri Lankan business Entrepreneur was recognized by the largest American business chamber in the United States. In 2007, he was also presented “The Exceptional Performance by a Young Professional” award at the 5th Annual Sri Lanka Foundation Awards Ceremony held in Los Angeles, California. The continuing growth of RIOCOCO is the source of much of Mr. Shan’s recognition for success. His brand RIOCOCO is based on ethical ecological standards, producing RIOCOCO branded organic growing media substrates for greenhouses around the world. This is made from coconut fibers, material that Mr. Shan saw potential for in the global horticultural and agricultural businesses. Today RIOCOCO is recognized as the top coir-based substrate among the top greenhouse growers worldwide, spanning 30 countries including United States, Canada, Mexico, United Kingdom and Japan. And in 2010, Mr. Shan introduced the Ceytips Ceylon tea from his country- Sri Lanka. Ceytips teas is single-origin, single-leaf tea with variety of flavors and traditional black Ceylon teas, currently enjoyed by customers and discerning tea fans in Texas and many other cities in the USA. Mr. Shan Halamba, CEO of Ceyhinz Link International, Inc, received the ‘International Businessman of The Year Award’ from the Greater Dallas Asian American Chamber of Commerce. 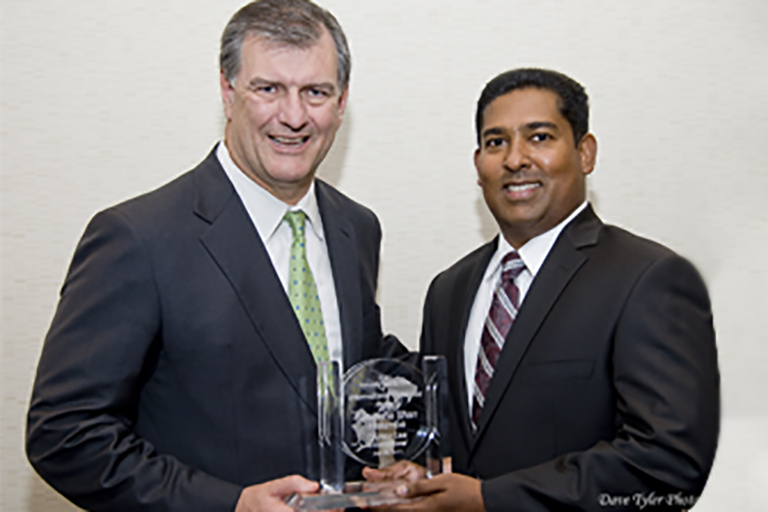 Dallas Mayor, Mike Rawlings, presented Shan with the award at the Ceremony held in The Western Galleria Hotel in Dallas, Texas, USA on July 28, 2011. 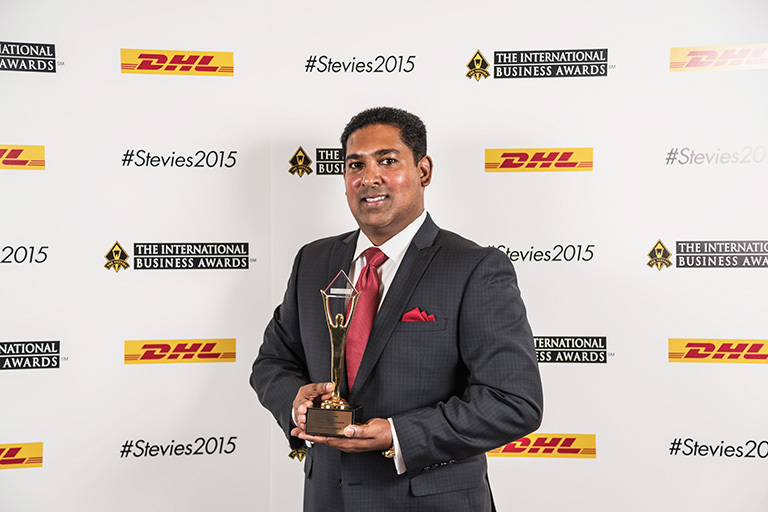 He is the first native Sri Lankan to receive the International Businessman Award in the USA. He was judged along with other selected young Asian American business Entrepreneurs from Texas on outstanding leadership and international accomplishments. The Annual Awards Gala is held to recognize the notable accomplishments by Asian American entrepreneurs and business leaders as well as the outstanding contributions by Dallas, TX companies to the Asian American community. Shan wishes to thank all RIOCOCO clients for their continues support and loyalty towards RIOCOCO and he would like to dedicate his award to all the worldwide customers, staff members and suppliers. Shan Halamba won an award at the fifth Annual SLF Awards Ceremony. 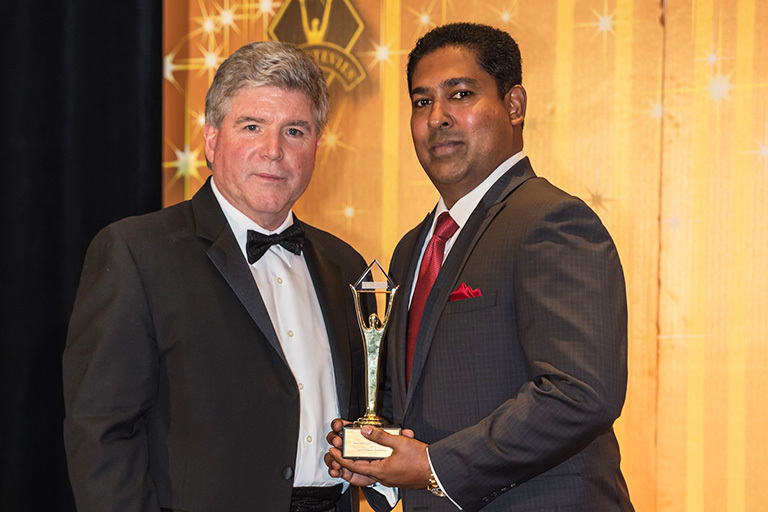 The award was presented by Upul Dharmadasa, CEO of Upul Travel Service in the USA. The Award Ceremony was held at the Millennium Biltmore Hotel in Los Angeles, California under the patronage of Jaliya Wickramasuriya, Sri Lanka's Consul General in Los Angeles. Shan, a 33-year-old Sri Lankan Entrepreneur based in Dallas, Texas, USA is the CEO/President of Ceyhinz Link international, Inc. set up his US based company with 100% Sri Lankan made products generating millions of dollars annually. Sisilchandra, an old boy of Nalanda College, is an IT professional who graduated from the University of Hawaii Pacific in Hawaii and Massey University in New Zealand. He introduced Sri Lankan made coir substrate to greenhouses and nurseries in North America and 30 countries. 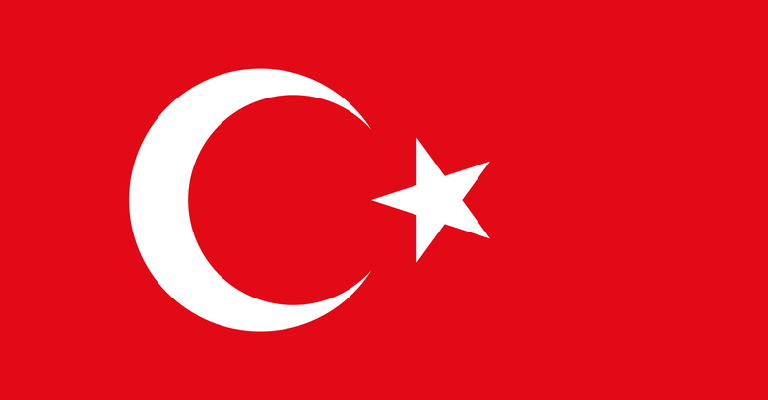 Ceyhinz Link competes with foreign companies who promote similar products made in Sri Lanka and India. His brand Riococo is one of the well-recognised and accepted growing substrate brands among top greenhouse growers worldwide. He also introduced coir fibre based Sri Lankan made ecological restoration products for the project in North America and many other countries. 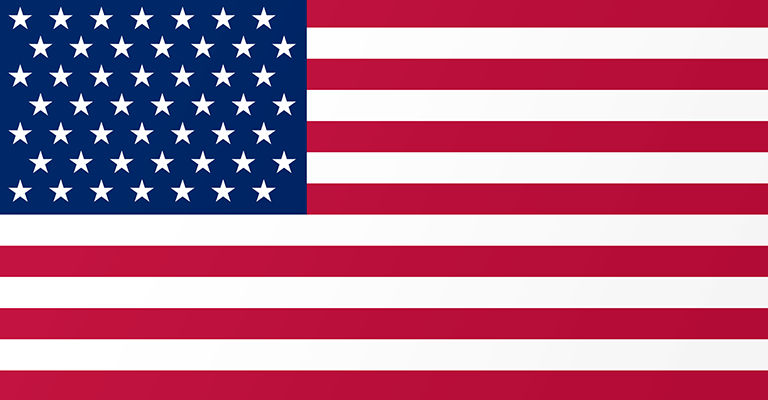 His products are mainly used by the US Army Engineering (Corp) and US National Guard projects in many states in the USA. Ceyhinz Link International (CLI) processes, manufactures and markets high quality coir (coconut fibre) for the use in the production of hydroponically grown greenhouses. 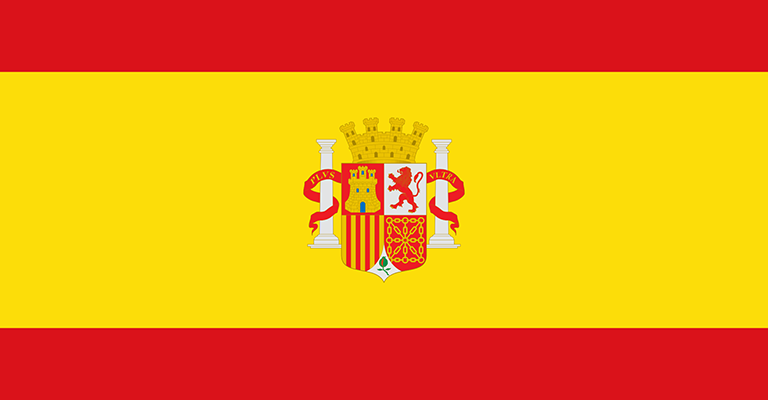 His products contribute to vegetables and flowers (specially tomatoes, pepper, cucumber and cut-flowers); as well as a soil amendment for commercially grown potted flowers and crops, garden centre goods and ecological restoration products. He invented and introduced products to the Hawaii State that protects its natural coast from coastal erosion. These products are used by the Hawaii State Government to protect its islands' coastal erosion. The SLF Awards Ceremony is organised by the Sri Lanka Foundation. It is a 501 C (3) non-profit organisation formed in April 2003 by Walter Jayasinghe, MD. The main focus of the foundation is to promote Sri Lankan culture in the United States and globally. In addition, an annual Award Presentation ceremony is held to recognise the members of the Sri Lankan expatriate community. Shan Halamba, CEO of RIOCOCO, Wins Stevie Gold Award -- Executive of the Year -- at 12th Annual International Business Awards. IRVING, TX--(Marketwired - October 27, 2015) - Irving-based entrepreneur Shan Halamba, CEO of Texas-based Ceyhinz Link International, Inc., won the Gold Stevie Award for Executive of the Year, Management Award under the category of All Other Industries. Nicknamed the Stevies from the Greek word "crowned," the awards were presented at a gala event on Friday, 23 October at the Ritz-Carlton Hotel in Toronto, Canada. Michael Gallagher, President and Founder of the Stevie Awards, presented Shan Halamba with the award. Riococo coir substrates received two gold awards. Riococo coir substrates received two gold awards at the 23rd National Chamber of Exporter’s Award Ceremony in Sri Lanka. 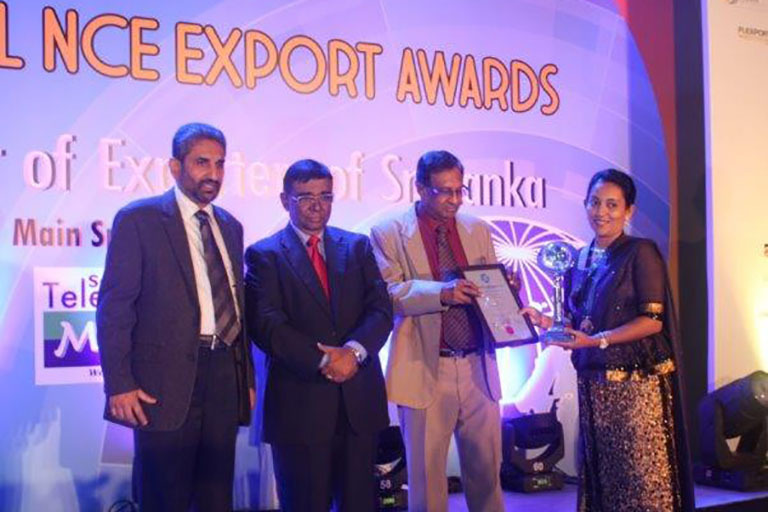 The company was awarded best Agricultural Exporter and Best Value Adding Company to the Sri Lankan Agricultural Sector. 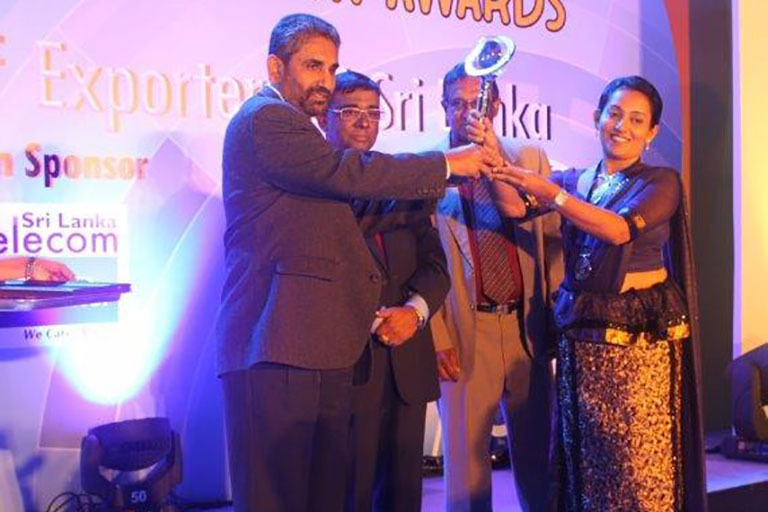 The awards were presented to the Chairman of Riococo Lanka (Pvt) Ltd, Mr. Shan Halamba and Managing Directress Mrs. Sumudu Udeka during a ceremony at the Hilton Hotel in Colombo, Sri Lanka, on Friday 18 September, 2015. 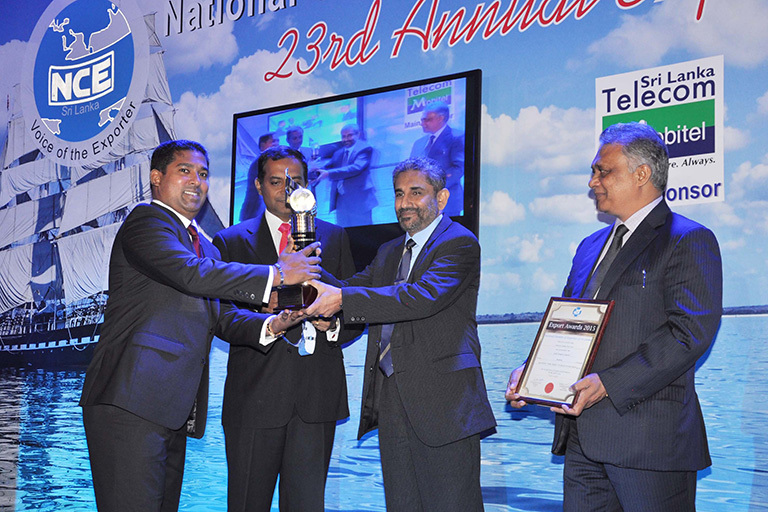 It is the first time that we have been recognized with double gold awards in Sri Lanka.